Salad can feel uninspiring, especially during the winter when you're craving all things roasted and stewed. The secret to getting your fresh greens in during the colder months is to pair them with a warmer dish. 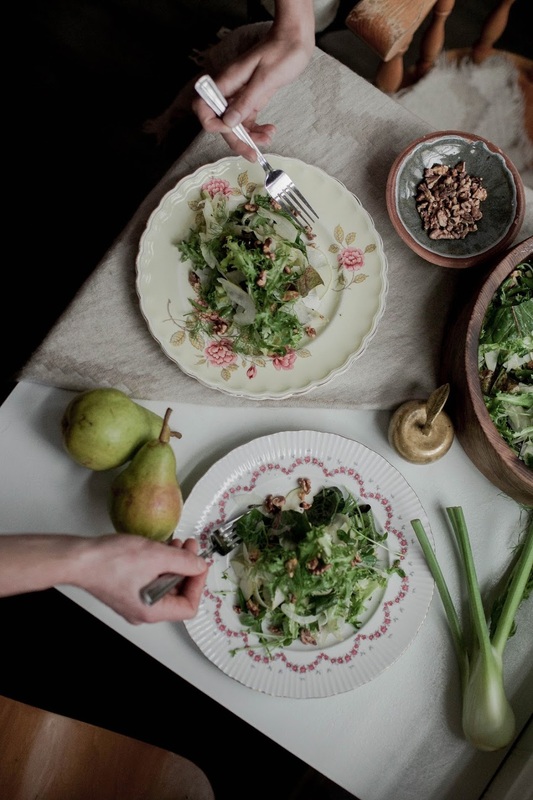 This fennel and pear salad pairs stunningly with the Carrot & Cardamom Soup we posted last week! The combination of crisp and creamy, cool & warm, light & dense makes these two easy yet flavourful dishes the perfect match. In this recipe, we used a beautiful fresh head of frisee as our base salad green. Frisee is a variation of endive, and has such a light, interesting flavour! It was made to snuggle up in a bowl with fresh fennel and toasty walnuts! Slice fennel & pear thinly (you could use a mandolin if you have one). 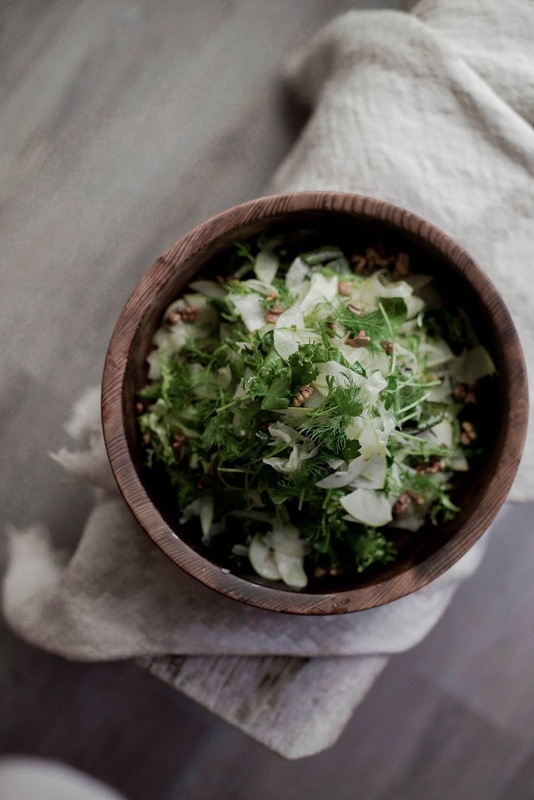 Place fennel & pear in a large bowl over salad greens, and layer with sunflower/pea shoots & parsley. Dice shallot finely, and whisk with champagne vinegar, mustard, honey, salt & pepper. Then, slowly whisk oil into mixture. Drizzle over prepared salad. Top with toasted walnuts.